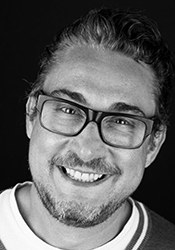 With a wide range of clients including the Arts Council, the BBC, Cooperative Bank, the Royal Exchange Theatre and the Welcome Foundation, Paul’s experience in design and marketing communications makes him ideally suited to look after Born’s public face. Barbara is Born’s behavioural change practitioner and works with any type of emotional or physical issue that blocks people from being balanced and happy. Originally from London, Barbara re-located to Shropshire in 2006 and then to Salford in 2015. 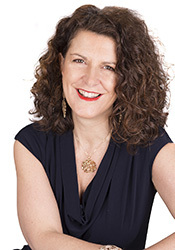 Following a successful business career, she left corporate life after 21 years and re-trained as a Clinical Hypnotherapist and Stress Manager before discovering Emotional Freedom Techniques (EFT) which changed the way in which she now works. EFT is a form of energy psychology that delivers rapid results that are usually permanent. It works by enabling the client to let go of identified issues such as upsetting memories, behavioural triggers and responses and to overcome unwanted emotions such as guilt, shame, jealousy and so on. When these energy blocks are released, they no longer have an impact on decision-making and choices and the client is ‘emotionally free’ from the issue. 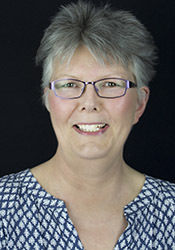 Passionate about helping people to change behaviour that isn’t working for them, Barbara works with clients from many different backgrounds with diverse issues including anxiety, Post Traumatic Stress Disorder, lack of confidence, low self-esteem, many types of fear, habits, addictions, panic attacks, grief, anger and many more. In addition to one-to-one sessions, she also runs workshops designed to help people make changes to their lives. Everybody wants to look their best all of the time but with the fast paced nature of modern life, people don’t always have the time and often, style falls down the priority pecking order. Got a special occasion or attending an event? Maybe, as many of us do, you’ve had a change in lifestyle (weight, relationship etc…) and you don’t know where to begin to adapt. That’s where I come in. The rational and practical voice that is on your side. Whether it’s editing your wardrobe to best represent where you are in your life now, helping you acquire those glam garments and accessories or being on hand at a photo shoot / runway fashion show, I’m your supporting style sister. Sue is Born’s speech and voice therapist, specialising in transgender voice training. Sue qualified with a degree in speech pathology and therapy from Manchester University in 1986 and has since worked in Australia, Salford, Manchester and Stockport. During her career, Sue has worked with both children and adults with a range of speech and language difficulties. Her work has been in the following settings: a special school, mainstream schools, health centres and NHS hospitals. Her work as a lecturer for students on the Speech Therapy degree course (Manchester Metropolitan University) helped in the training of future speech therapists. 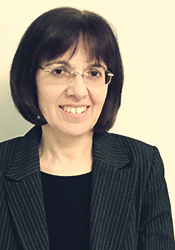 In addition Sue has a Certificate in counselling, family therapy and expertise in a cognitive behavioural therapy. Sue is published: ‘The Sourcebook of Practical Communication’ first published by Speechmark press. Sue featured on North West News about Speech Therapy and voice. Her successful treatment for a female vicar enabled this lady to return to work, which she had been forced to give up due to voice loss. In her NHS role, Sue is head of the voice service and has extensive experience in treatment of transgendered voice. She works as lead therapist with ENT Consultants in designated voice clinics within a hospital and also has training in counselling. Sue has worked as a lecturer and examiner on the speech therapy graduate course at MMU (Manchester Metropolitan University). Hello, I am a Relationship, Dating and Career Coach. I will help you to feel feminine AND strong whilst flourishing in the workplace AND melting into the arms of a partner deeply in love with you. As for my story, I had a successful career and a history of unsuccessful relationships. What I learnt, and went on to experience, turned everything I believed about relationships and men on its head. And at the same time, it all made common sense and explained what I’d been doing wrong all that time. I went on to test what I had learnt in my working life and that transformed too. I started to feel ‘me’ in the workplace. My confidence and trust in myself built and I felt truly comfortable in what I was doing for the first time in my working career. What I had been doing was acting like a ‘man’ in both my relationships and my work. This is why I didn’t feel like ‘me’ in work and why I wasn’t getting what I needed in my relationships. As soon as I connected to my feminine energy the whole thing changed and I started to Have It All. Today I feel privileged and excited to share what I know works with women all over the world. Sam is Born’s beauty specialist based in Manchester. She is skilled in waxing, brows and lashes, tanning, manicures, pedicures, gel nails and facials. Get rid of unwanted hair and pale skin and start feeling more confident about your appearance today. Sam has worked with trans clients for six years her first when working at Harvey Nichols but been part of the Manchester LGBT community for 11 years. 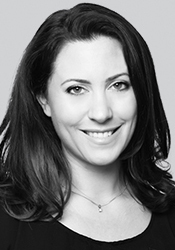 Sam has the ability to put people at ease and her vast knowledge of beauty enables her to tailor make your ideal treatment plan to enhance your path. 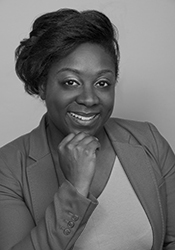 Sam writes for trade publications, local newspapers and magazines, has appeared on local and National Radio and is also on the Hair and Beauty Industry Authority Advisory Committee. She has worked with many brands and her skill set covers nearly all beauty services available today. 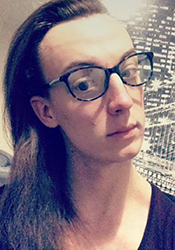 Jo is a trans female, currently working as a mentor specialising within the Trans* community. In the last two years, she has had the passion for helping others by sharing her in-depth knowledge in the community. Jo finds the satisfaction very positive and continues to strive helping others. Jo has helped people by listening, giving honest feedback, including guiding you into making the right decisions for yourself. She is there to be a role-model, and will be someone you can learn to fully trust. As a Mentor will inspire you, guide you, and expect you to give your best efforts into becoming the person you want to be. Mentoring is different than a friend. A Mentor is someone who has already been through and past an experience, and is willing to be a strong, responsible advisor to help you clarify and reach your own goals. Jo normally works on a week basis of catch up, every 2 weeks if a mentee needs it ie. goals challenges. If mentoring is going well this can change to every 4 weeks. First 30min FREE chat via Skype or phone. If you wish to continue with Jo the cost is £10 per hour to work with the mentee.